Wasewagan on the River has an unparalleled Summer Camp experience! At Wasewagan, as we have previously mentioned in these blogs, we pride ourselves on providing a unique, fun and historical Summer Camp / Sleepaway Camp experience. That is not to say we don’t have modern amenities and modern activities, it just means we take the time to preserve what made, and still makes the Summer Camp adventure so special for kids. This includes camp fires, S’mores, bunk bed cabins, fishing, bike riding, great food, swimming, scavenger hunts and so much more. We use camp as an opportunity to instill social skills like independence, communication, conflict resolution and leadership. Additionally, these weekend-long adventures are the perfect chance for kids to try new games, activities, foods and meet new friends. They will come home with hundreds of stories, but also a new interest or hobby. That nostalgic feeling is not gone and can be relived even in 2018. There have been many improvements as well, with new activities, games and field trips for kids to try. With us now fully in the Summer Season, spots for Summer weekends are filling up. This is the time to reverse a spot (and remember we give discounts for siblings) so they can enjoy the same fun experience as their parents. Let your kids come enjoy the Southern California sun, amazing fresh air, gorgeous nature views and relaxing neighboring river. This is the prefect excuse to give kids and parent alike, a much needed vacation this Summer. Join us as we embark on another memorable Summer Camp Adventure this year. For many, a single trip becomes an annual tradition as well as a lifetime of fond memories. Wasewagan Offers Girls Scout Camp Adventures As Well! Though we are preparing for another Summer Camp in Southern California, it’s important to mention the amazing visitors we’ve had the privilege of hosting these last few weekends. 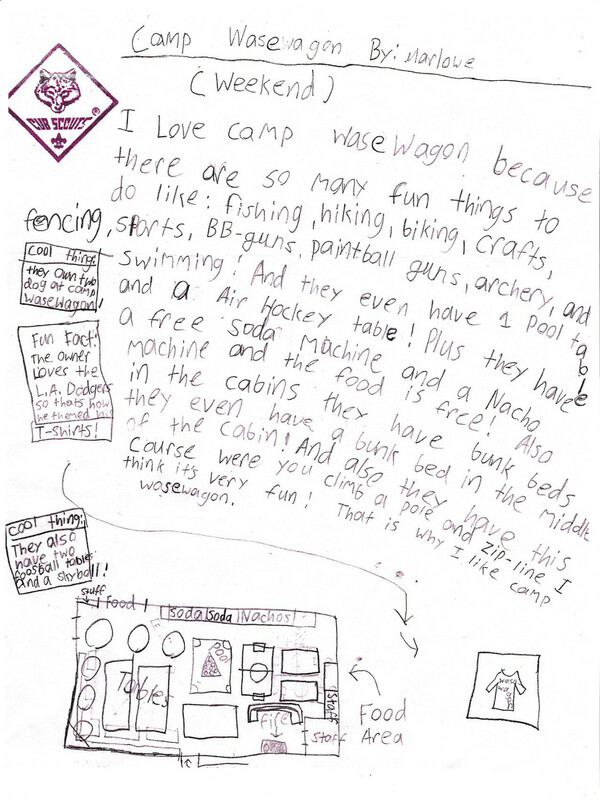 These recent girl scout troop and cub scout troop visitors to our camp had some wonderful things they had to say about their trip. 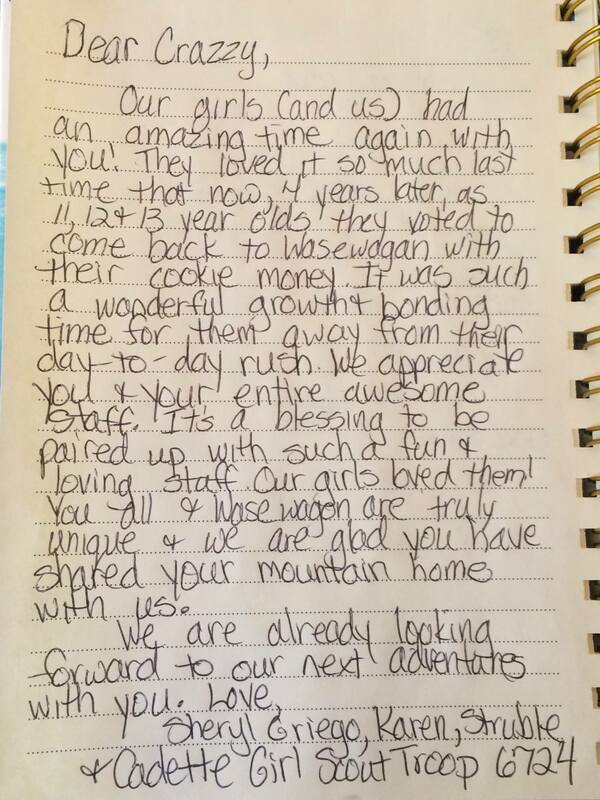 These little notes affirm our commitment to making the Girl Scout Camp experience more than just a fun time, but a chance for growth and social development between the scouts. Please read through them and note the focus on bonding, fun activities and great memories. 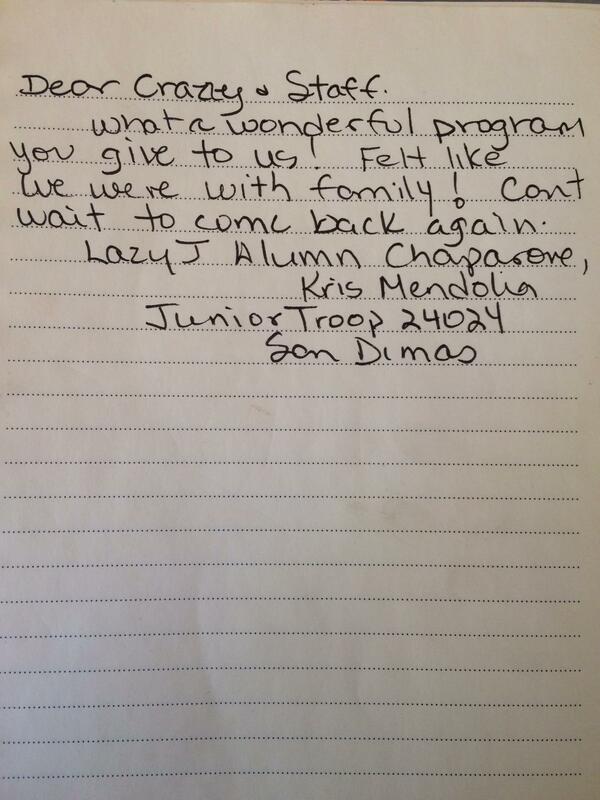 Some of them are from adults who reference our camp when it was formerly Lazy J and mention how the magic has been carried over despite the near 30 year difference. Our friendly experienced staff continue to try to make each year better than the last and look forward to hosting more scout groups after the Summer Camp season! Be sure to follow us on Instagram as we celebrate the Summer Season. Join us for our 2018 Summer Camp in Southern California. Keep in mind, we also have girl scout camps and boy scout camp weekends available for August and October. Contact us for more information.